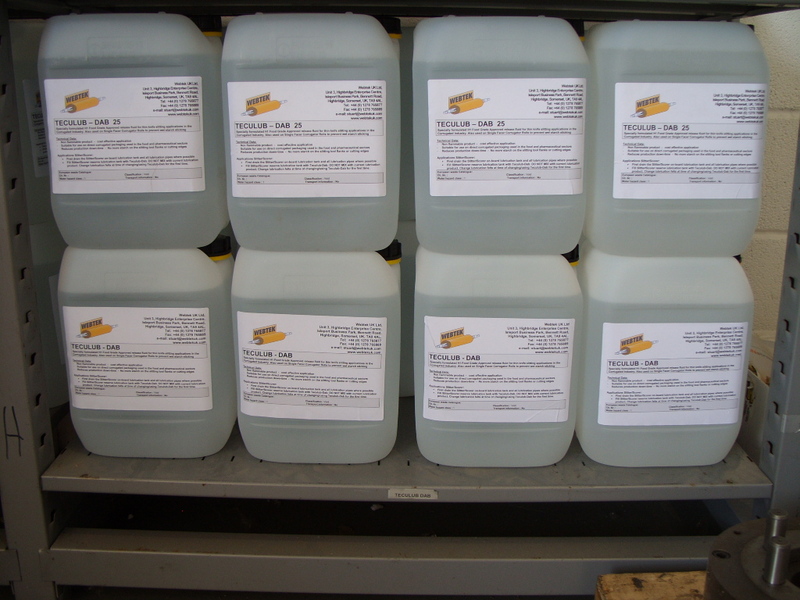 Teculub-DAB and Teculub-DAB 25 are lubrication products specifically designed for use in the corrugating industry. Our NSF H1 food grade approved lubricants (registration number 141989) are used for the prevention of starch adhesion to razor slitting knives and the prevention of starch adhesion to corrugating rollers. 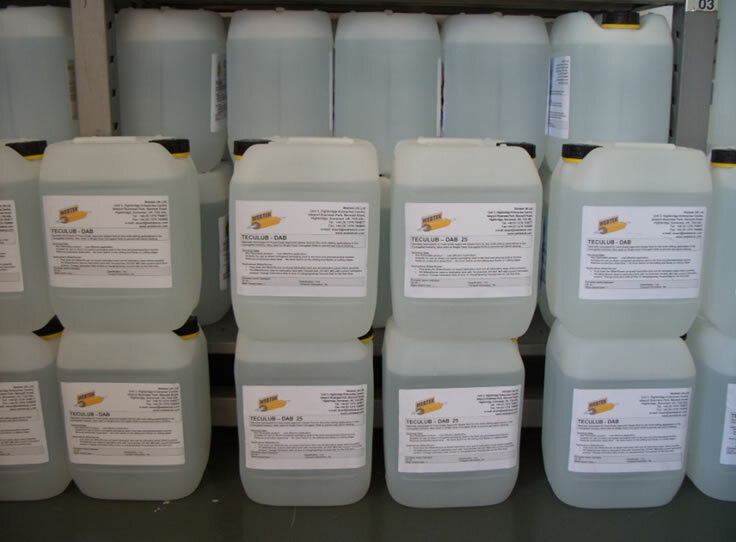 Teculub-DAB and Teculub-DAB 25 are supplied in 10 litre containers for easy handling and filling of the lubrication tanks on the machine.